O, sure, you can paint Easter eggs like everyone else. But what about this ultra-cute lamb wooly hat? 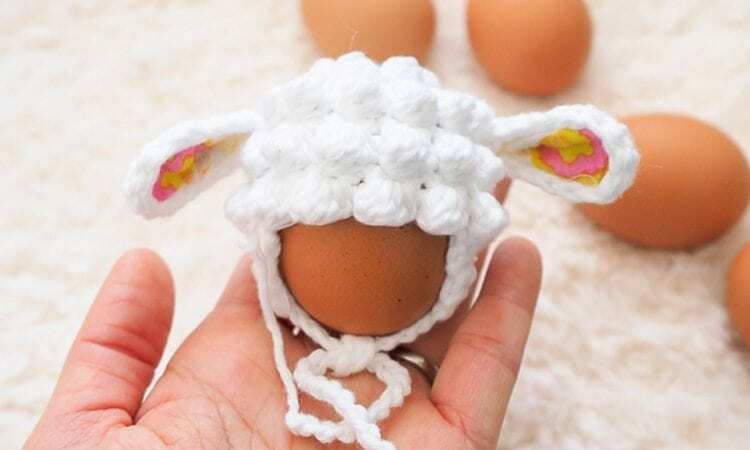 It’ll set your eggs apart, it’s easy to make and is as adorable as all get out. It’s also great as a present, or in different colors as a set or a lovely addition to your Easter basket. A link to the free pattern is at the end of the post.